Here is a list of what we are excited about right now with running gear, clothing, and recovery. It’s designed to trap in heat on the coldest days, but then circulate it away from your body if you start to feel too warm, so you never overheat. Plus the ninja-style hood protects your face against the harsh elements. Brilliant. While sunglasses are usually associated with warm weather and beaches, they are just as important in the winter. Don’t let the cooler weather leave you squinting into the sun. These sunglasses are so lightweight that you may even forget you are wearing them. Get Your Groceries Delivered- For Free! Go ahead and go for that long run this week and leave the grocery shopping to someone else. 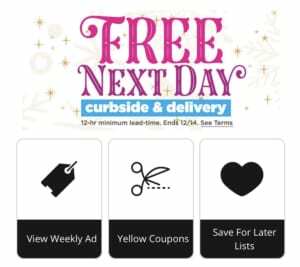 H-E-B is offering free Curbside and Delivery on Wednesdays, Thursdays, and Fridays through Dec.14th. Make sure and stock up on your favorite post run snack since you will be running more and shipping less. Set it and forget it! This one little pot is taking over the internet with its easy and fast meals. It can do it all: programmable pressure cooker, slow cooker, rice cooker, yogurt maker, egg cooker, sauté, steamer, warmer, and sterilizer. The latest version even connects to your smartphone!! No more being stuck in the kitchen. With his new book , Control Your Success, Stephan Schwarze shares some of his experiences from many years of racing and coaching athletes. He presents a framework of habits and strategies performing as an athlete while being successful at work and having a family. It is a practical guide with many tips and examples for triathletes, runners, and other athletes. This is the perfect inspirational gift for yourself or a friend who needs a little encouragement or reassurance. When Your Legs Get Tired.. Run with Your Heart! A meaningful gift for the runner in your life. 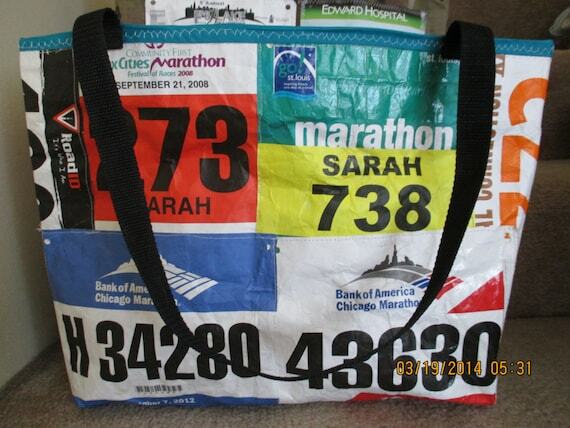 This is a great way to preserve and show off your race bibs! Send in your bibs and and this crafty artist will turn them into this fun and durable tote bag. The bag is 12″ high by 18″ wide and 4″ deep. The straps are 18″ long. The bibs are sewn onto a feed bag and the inside is easy to wipe clean. How you plan to heist the giftees bibs without them noticing is up to you.